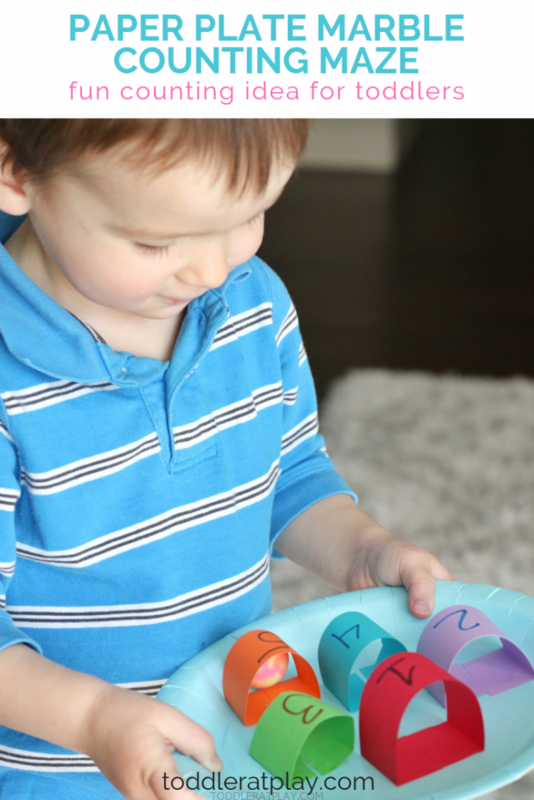 This Paper Plate Marble Counting Maze is so quick to make and super fun! 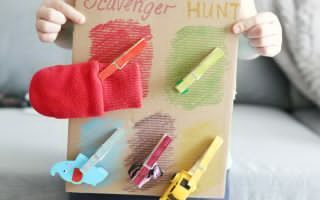 This game, or activity shall you say, is a wonderful way to engage a child and improve many important skills. 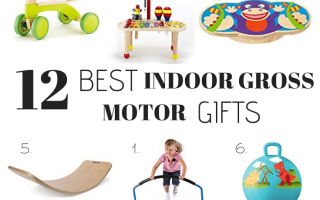 You’ll be suprised to see the list! Keep reading to see how I’ve made this Marble Maze, what skills the child is exercising/improving and watch our quick video tutorial too! 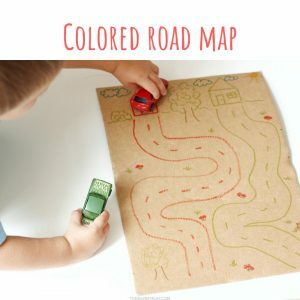 Looking for more fun ideas for toddlers? 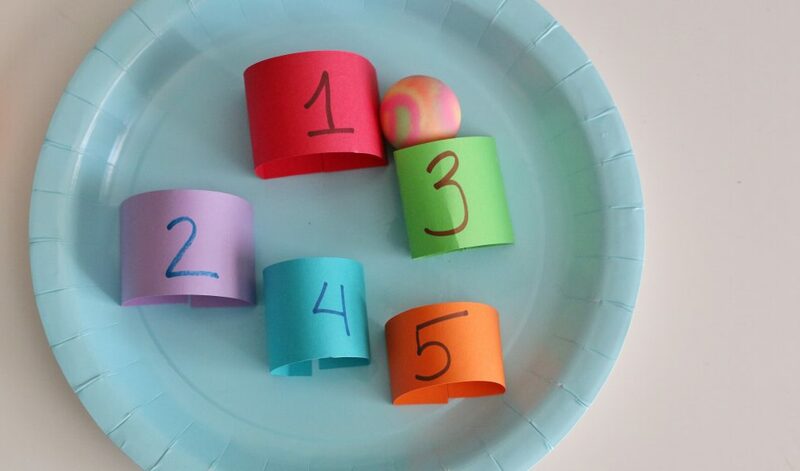 Cut strips of cardstock (approximately 5″x 1″, depending on the size of the marble or bouncy ball) and label each with a number, 1-5 using the colored permanent markers. 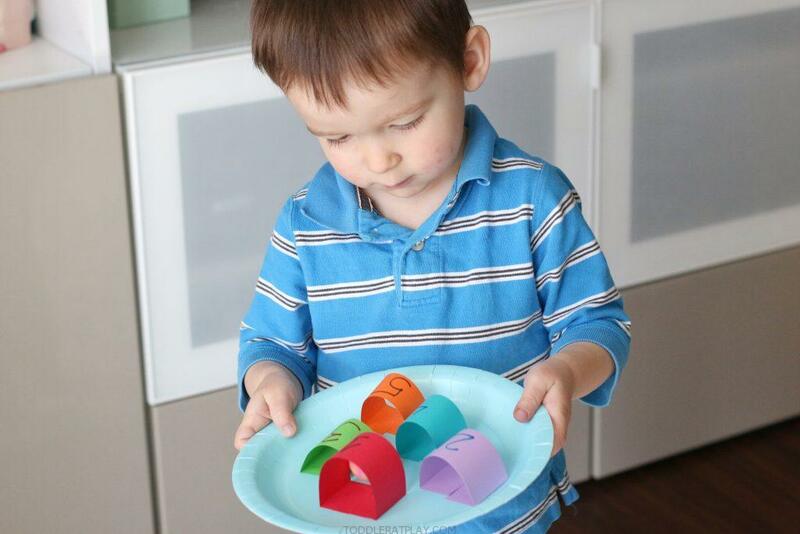 For each strip, bend and fold the ends inward and glue onto the paper plate. Add the marble/bouncy ball and enjoy the maze! 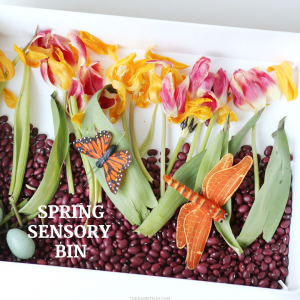 My kids loved this activity and so did I! 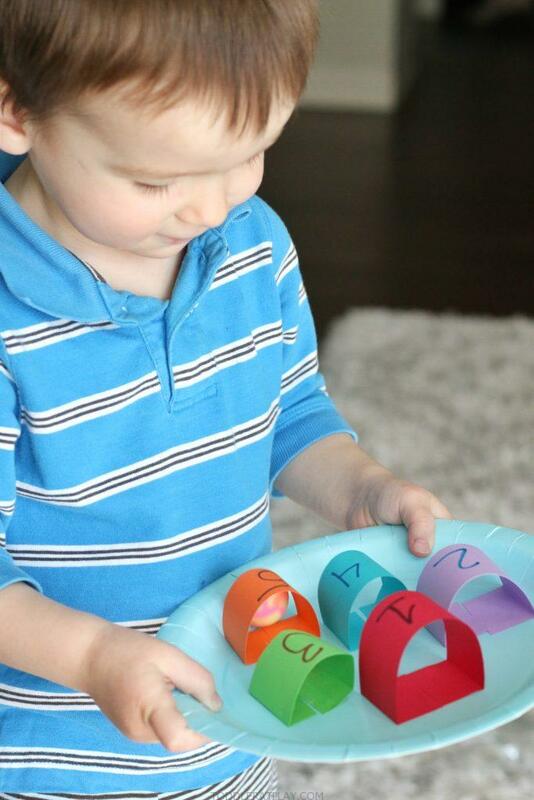 I loved that it involved all three of the motor skills; fine, small and gross with such an easy activity! 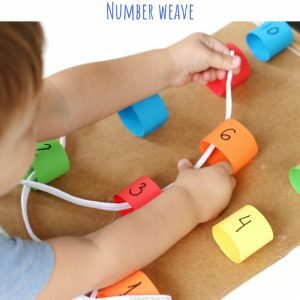 Great as indoor activities, for that matter 🙂 It’s also colorful, engaging and makes learning so much fun! 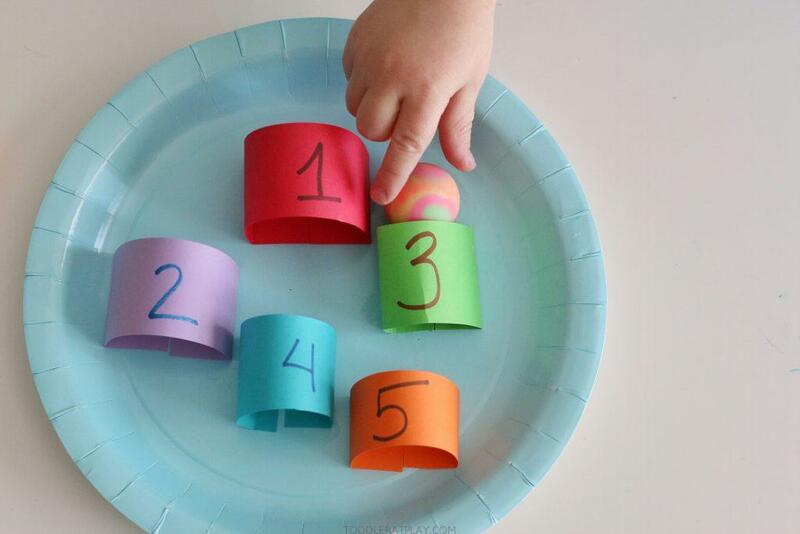 Try this Paper Plate Marble Counting Maze today!